The Subaru Forester compact SUV, one of the most popular cars in the Pacific Northwest, is thoroughly revamped for 2019. This new fifth-generation model is the roomiest, most tech-endowed Forester ever, and is powered by a new version of Subaru’s four-cylinder boxer engine. As always, Subaru’s celebrated Symmetrical All-Wheel Drive system is standard. 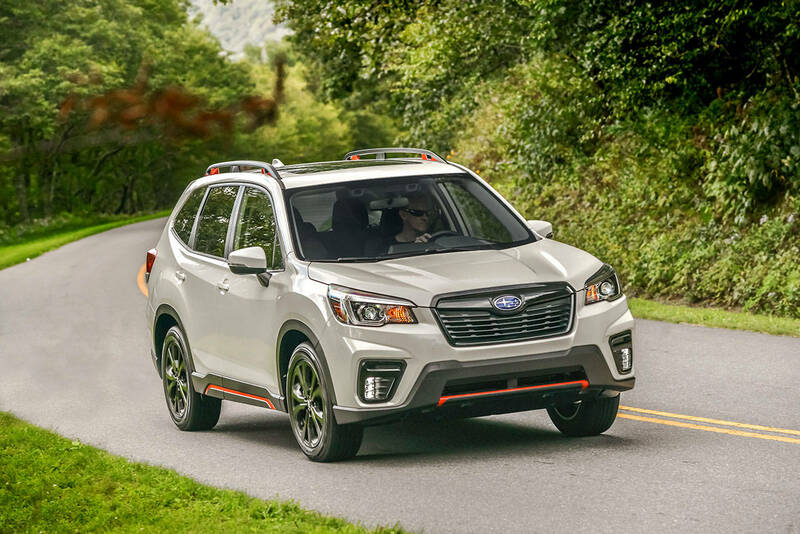 A longer wheelbase gives the 2019 Forester a more refined ride and a bigger cabin with appreciably more legroom for rear seat passengers. Headroom, a Forester hallmark, is even more generous now. Hip and shoulder room are increased, too. Cargo space is boosted by 1.9 cubic feet, for a total of 76.1 cubic feet when rear seatbacks are lowered. To optimize handling of large items the rear gate opening maximum width is increased, and according to Subaru the opening is up to 8 inches wider than on some of Forester’s competitors. A power liftgate is standard or optional, depending on trim level. There are five trim levels of the 2019 Subaru Forester: the base Forester, Premium, Sport, Limited and Touring. Pricing with a $975 destination charge included ranges from $25,270 to $35,270. New standard features on the base model include LED headlights, EyeSight driver assist technology, auto start-stop, active torque vectoring, automatic climate control, electronic parking brake, trailer stability assist, welcome lighting, and Subaru’s SI-Drive engine performance management system. My tester was the Sport trim, a new model for 2019. Like all other versions, it comes with the updated Subaru 2.5-liter boxer engine whose horsepower is rated at 182 and torque at 176 pound-feet. The Sport’s continuously variable automatic transmission (CVT) is also shared with the other new Forester models. In addition to or along with other trims, the Sport includes a superabundance of standard features. One exception is DriverFocus, a new safety technology on Forester this year. Using facial recognition software, it identifies signs of driver fatigue or distraction and delivers audio and visual warnings to alert the driver. DriverFocus would have come in handy for Clark Griswold in “Vacation,” but then filmdom would be without one of its funniest scenes. In today’s real world of increasingly distracted drivers, DriverFocus can be a literal lifesaver. This new safety technology is standard on the Forester Touring model. 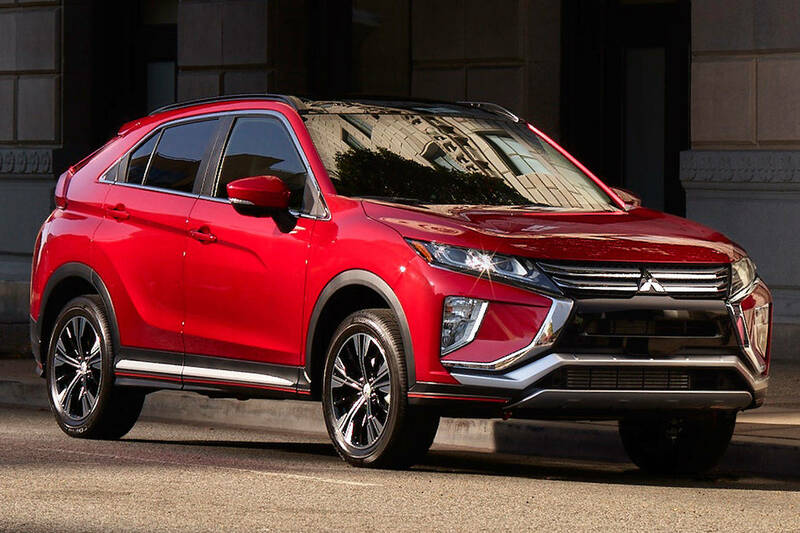 The Sport model has exclusive appearance enhancements including black 18-inch wheels and rear roof spoiler, and orange accents outside and inside. Denver Bronco fans would love my tester’s Dark Blue Pearl paint with the orange accents. The Forester Sport also has its own version of SI-Drive with Intelligent and Sport Sharp modes, and an exclusive version of the CVT that has a seven-speed manual mode with paddle shifters. The Sport’s interior styling is flashy, and the array of screens and controls can look daunting to the tech-shy, thrilling to the tech-crazed. 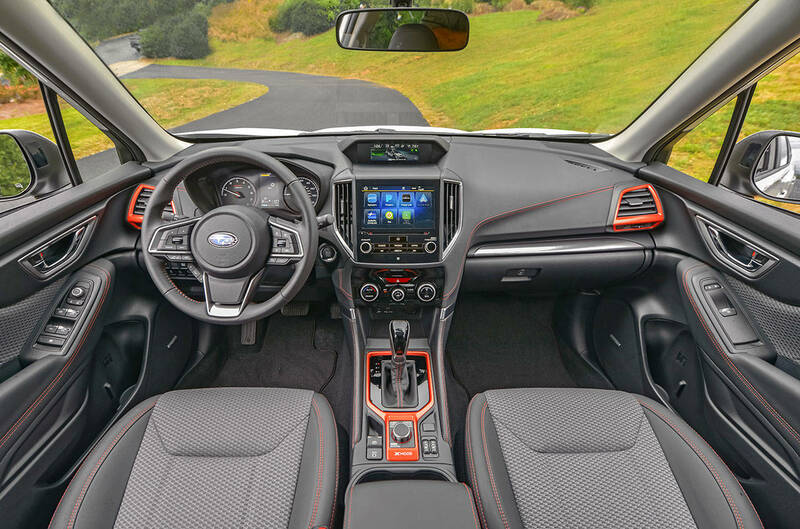 The tester was equipped with the Subaru Starlink multimedia system with an 8-inch touchscreen and all the latest infotainment and connectivity equipment. I’d rate the overall situation as medium in terms of intuitiveness, which could be impressive or ridiculous depending on where you are on the tech scale. While figuring out how to reset the clock, for example, I thought it would be easier to reset Big Ben. A juicy bit of information for the tech-shy: The tester had a CD player. Performance ratings for the 2019 Forester engine are up by 12 horsepower and 4 pound-feet of torque over the previous model. The new powertrain is livelier than the old one but still no powerhouse. That’s fine, though. The many people who buy Foresters are typically more interested in fuel economy than power surges. Forester delivers in that regard with an EPA rating of 26 mpg city, 33 mpg highway, and 29 mpg combined. And there’s still plenty of energy available for merging onto freeways with self-respect.